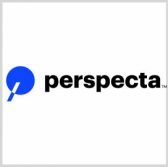 Perspecta‘s research arm, Perspecta Labs, has received a 3.5-year, $5.4M prime contract to develop an automatic configuration system for the Defense Advanced Research Projects Agency. The company said Tuesday it will design, build and test the Optimized Context-specific Configuration for Attack Surface Minimization system that would work to rapidly generate needed configurations and complementary human-readable evidence. Work under the contract would support DARPA’s Configuration Security program seeking applications that produce and deploy configurations of subsystems composing various internet of things platforms. The agency requires configurations that fulfill needed military functions and address associated vulnerabilities.